Developed by N.A.S.A in the 1970’s, visco-elastic memory foam was quickly sourced for use as a bedding material by the medical community as a cushioning foam which could instantly reduce pressure on the joints and improve circulation. Originally, memory foam was intended for easing the enormous ‘G-Force’ astronauts experienced during lift-off and landing. Hospital trials in Gothenburg, Sweden confirmed the three major reasons as to why memory foam should be used as a bedding material. Following this trial, memory foam was used increasingly in medical applications and the general bedding industry soon recognised the benefits of this remarkable material. Higher density foam is far better quality, more pressure relieving support and will last longer. Higher density memory foam is naturally more expensive due to the increased level of raw material used in manufacture and a more prolonged, sophisticated production process. Mlily Memory Foam mattress toppers are constructed using third generation Memory Foam which responds quickly to movement and easily returns to its original shape. Memory Foams ability to absorb energy created by movements in the bed means partner disturbance is virtually eliminated when one changes position. 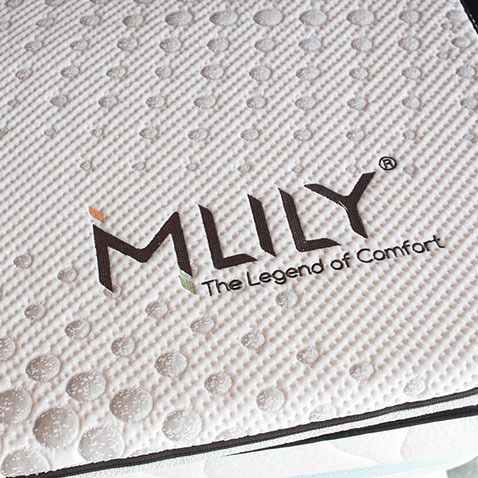 Mlily is a global company that brings decades of experience in the mattress business to Australia. This company sells products to Europe, America, Asia and Australia and is one of the global sponsors of Manchester United F.C. Available in Single, Extra Long Single, King Single, Double, Queen and King size. We even have memory foam mattress toppers in ½ Queen size which are ideal if only one sleeper needs a softer side. Also great for use in caravans and campers. All MLILY foams are CeriPur-US tested and certified, and all fabrics meet or exceed the Oeko-Tex Standard 100 for Confidence in Textiles, the most globally authorised eco-friendly certification. The MLILY manufacturing process is completely free of the use of pollutants and dirty, re-used waste water. All final products are free of chemical raw material residues, making MLILY a healthy and environmentally friendly choice, when choosing the bed that’s right for you. Click to Shop Memory Foam Mattress Toppers Now!